The accredited, San Jose State University part-time MBA at Lucas Graduate School of Business is specifically designed to support working professionals by providing the opportunity to earn a graduate business degree on a part-time basis while accelerating their careers. The San Jose State University part-time MBA program features the same curriculum and faculty and confers the same degree received by graduates of the full-time MBA Program. Students in the part-time MBA track are expected to complete their degree in 33-36 months with one course per session. Classes for this track are also held on the main SJSU campus. The San Jose State University part-time MBA curriculum consists of 42 semester credit units containing 11 core courses and four electives. The core courses are often prerequisites to electives, and include Research and Communications, Managing in the Global Economy, Developing and Managing People, Financial and Managerial Accounting, Marketing Management, Law and Ethics, Managerial Decision Analysis, Financial Management, Operations and Supply Chain Management, and Strategic Thinking. The typical San Jose State University part-time MBA class is 47 percent female and 53 percent male. The average GMAT scores and GPA earned by students are 572 and 3.37 respectively. The average age of students enrolled in the program is 26. In conjunction with San Jose State University’s Career Center, the Lucas Graduate School of Business has its own Career Consultant who works directly with MBA students to provide career advice and help with the job search. Office hours, workshops and other activities are provided to students by the Lucas Career Consultant. 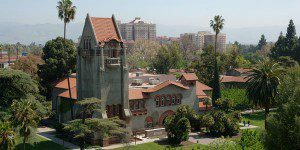 The estimated cost of tuition for the San Jose State University part-time MBA program is $34,346 for California residents, $50,978 for out-of-state students. Part-time MBA students may be considered for Federal Direct Stafford Loans. If additional funds are needed, students may apply for the Graduate Plus Loan based on credit rating. To apply to the San Jose State University part-time MBA program, applicants must submit a completed application form and current résumé. Students must also have earned a B or higher in their macroeconomics, microeconomics or business statistics class—and the class must have been completed within the last seven years.